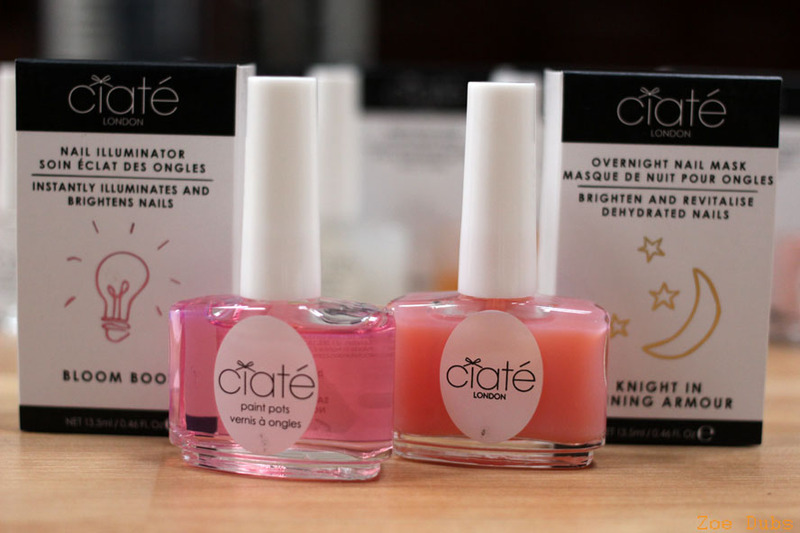 Ciate Nail Treatment Collection : Complete Your Nail Wardrobe! So I’m rarely one of the ‘first wave’ of bloggers when it comes to brand new, exciting products. 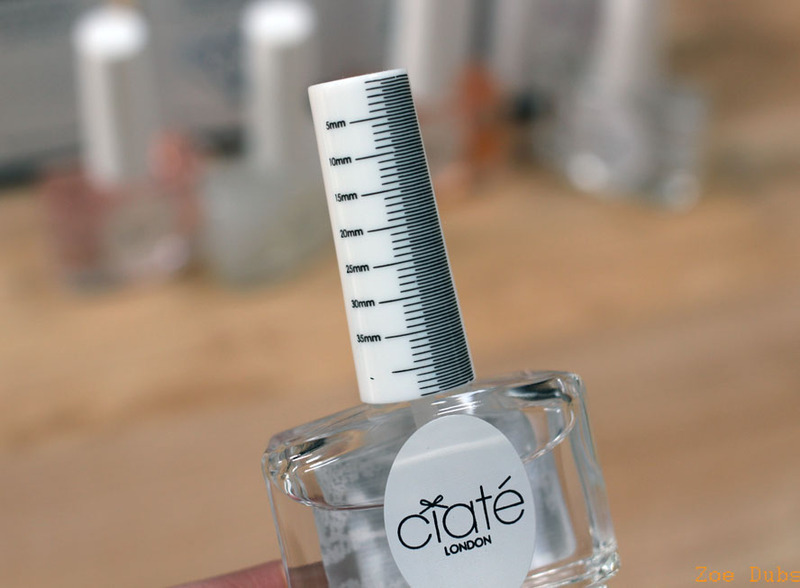 Imagine my delight when I was introduced early to the Ciate Nail Treatment Collection – a 14 strong range of nail treatments for every nail need and out in the shops this month! Even a beauty fiend like me wasn’t too sure that I would need 14 different treatments but having looked through my existing collection, I wholeheartedly agree that you need them ALL. And it’s not just a top coat, base coat, strengthener, bottles of blaaaah – there are some really unique and interesting treatments which I confess I hadn’t even thought of. 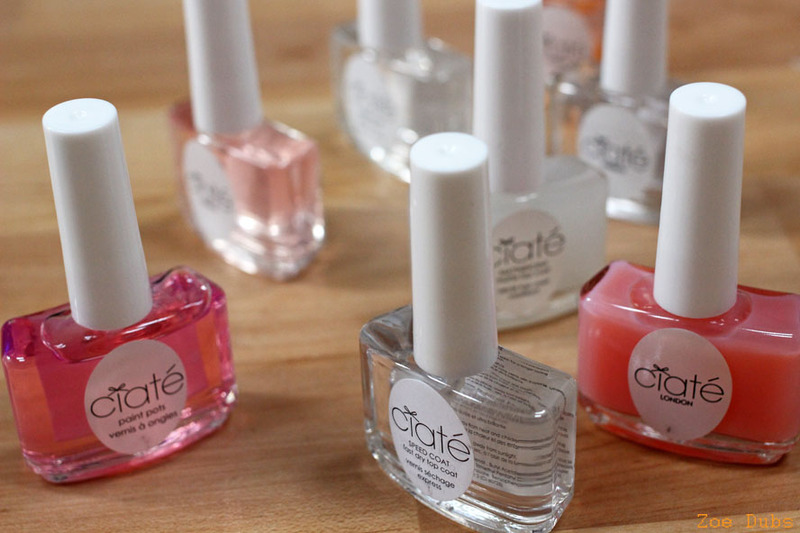 Ever bought a nail toner? A nail mask? Read on! 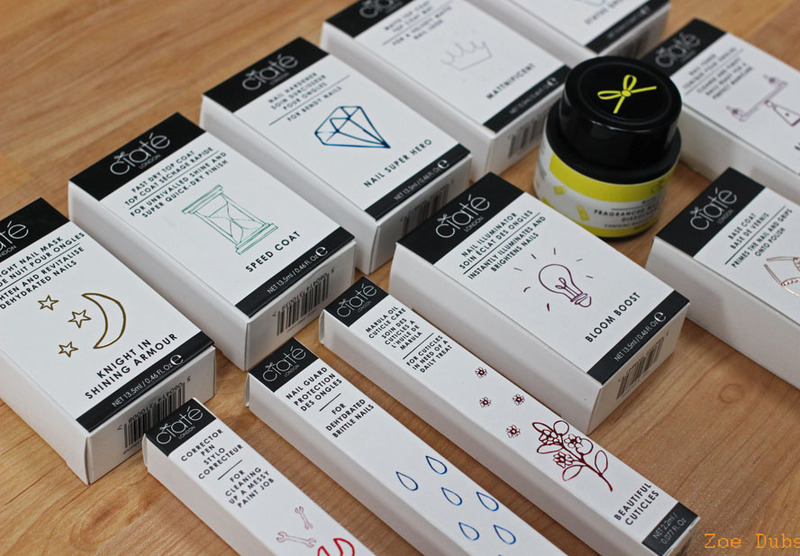 The packaging is just genius – little magnet lids, with instructions, information and teeny tiny bows on the case, it’s simple but oh so desirable! I rarely want to keep the packaging for my products but this was pretty impressive. 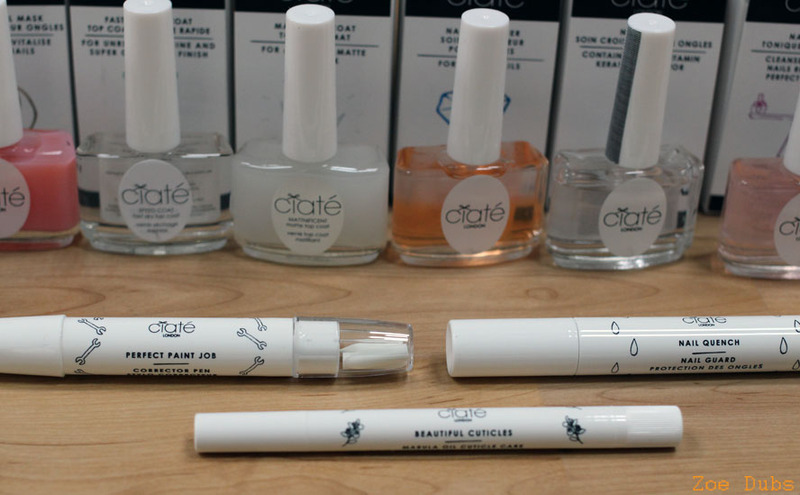 It’s not all polishes and paints either – there are three nail pen treatments too. Nail Quench – A hydrating treatment, it’s lighter than a nail oil and is perfect for on-the-go when you can’t wait for stuff to dry. Perfect Paint Job – A large flat nib with a sharp edge to remove any nail polish which has gone outside the lines – I use this a LOT! Beautiful Cuticles – Marula Oil to be massaged into rough edges, it smells delicious and doesn’t feel too heavy. Underwear – The Base Coat. Every nail collection needs one, but I wouldn’t say this base coat is particularly better than other brands. Speed Coat – The Top Coat. Everyone needs a fast dry top coat in their collection. Until now, I’d been using the Sally Hansen Insta-Dry but this works just as well. Mattnificent – The Mattifier. I love a matte nail and this matte top coat is actually slightly less matte than other brands I’ve tried. Not at all a bad thing, the effect actually received lots of compliments from my pals. Nail Super Hero – The Hard Man. Designed for bendy nails, contains caviar – not sure how that helps but I’m INTERESTED. It’s actually got some sort of oil running through it so feels more nourishing than other hardeners I’ve tried. 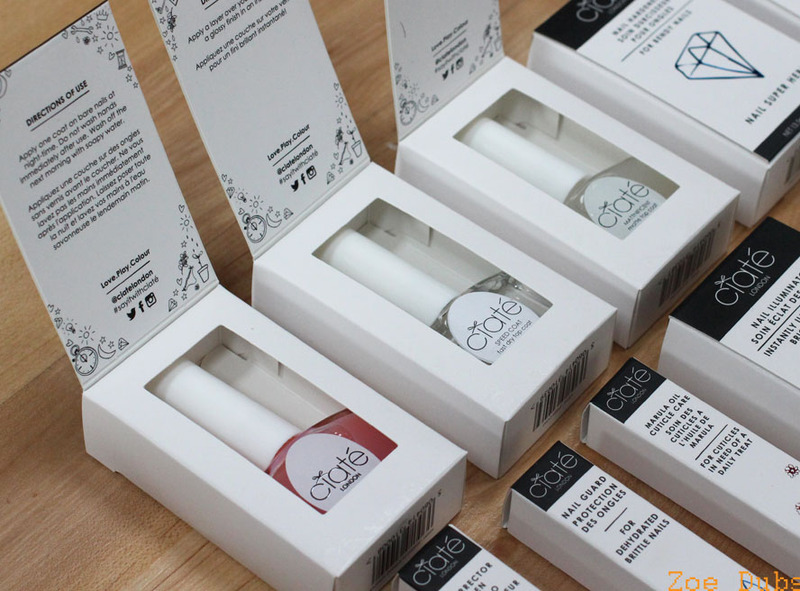 Base Balance – A Toner For Your Nails? Yes, you heard – a toner, not for your face. It sort of makes sense – part of me is screaming WHAT KIND OF WORLD DO WE LIVE IN and the other part is cooing over this beautiful bottle of genius. It’s the perfect base to rid last bits of oil from nails. Nail Goddess – The Elixir – Half serum, half polish, this daily nail serum dries quickly and is a great every day treatment for dried out and tired nails. Probably the least exciting of the treatments. Nail Gym – The Strengthener. Actually, I take it back, this one is probably the least exciting. Mainly because it’s the only one which doesn’t have an instant impact. It’s gotta be this Bloom Boost and the Knight In Shining Armour. Bloom Boost is this incredible brightening polish. The blue tone makes nails look ‘like yours, but better’ – like a sort of teeth whitener for nails……….. bad image but it REALLY makes a difference on naked nails and is great for days when you want to rest from the polish. I would definitely buy this again. Knight In Shining Armour is an overnight nail mask. I haven’t had one of these before! It’s a moisturising polish which you apply before bed. Half cream, half polish – it does need time to dry but it makes a difference! Just make sure you’ve finished your bedtime routine BEFORE you apply this! 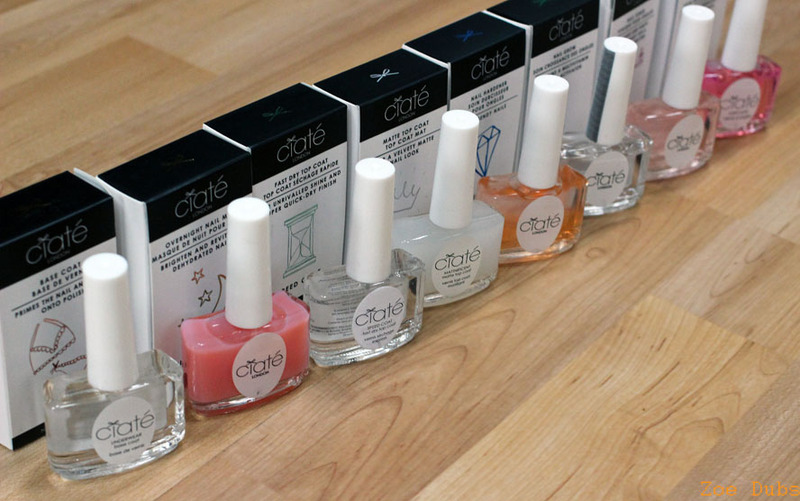 These all retail for £12 and have just been released at Ciate online here. For the more regular treatments, the Nail Super Hero hardener and Perfect Paint Job are better than the other brands I’ve tried so consider adding these to your collection too! …. or just get them all?! Fancy the look of any of these? Tweet me or comment on my Facebook page! Previous Post LFW, One Week Later: The Best Bits! Next Post From Backstage To Bathroom, Can I Pull Off This LFW Catwalk Look at Home?